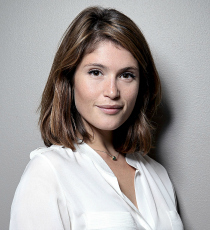 Gemma Arterton is best known for her roles in Quantum of Solace, Clash of the Titans, Tamara Drewe & Their Finest. In 2009 she won an Empire Award for Best Newcomer and she has also been nominated for a Bafta Rising Star Award. In 2015 Gemma completed a highly successful run as the lead role in musical Made in Dagenham (Adelphi Theatre). Most recently she starred in Nell Gwynn (Apollo Theatre) and St. Joan in Bernard Shaw’s St. Joan (National Theatre).